Volume 6 of this complete edition focusses in the main on Albéniz’s richly varied, early salon style. It includes the dazzling Chopin influenced Vals Champagne, the Estudio de concierto which rivals Liszt for virtuosity, and the famous Tango from España: Seis hojas de Álbum, a set which conjures up Spain in its rhythms, harmonies and sense of drama. Written a year before the composer’s death, Yvonne en visite! 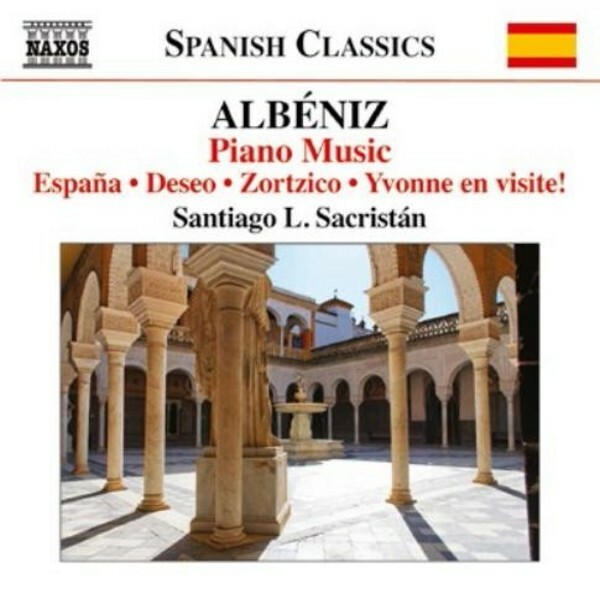 includes a humorous scene during a pupil’s reluctant performance, while the Marcha militar is Albéniz’s earliest work, composed at the age of eight. This sixth volume in our acclaimed series of Albéniz’s complete piano works continues our exploration of the composer’s less well-known salon pieces written in the first of his three compositional phases. A mixture of romantic styles, with habanera and flamenco rhythms, ensures lively variety, while pieces such as the famous Op.165 No.2 Tango stand out as familiar landmarks.